Melbourne, Australia’s Etihad Stadium will be rebranded Marvel Stadium beginning Sept. 1, as part of an eight-year partnership with The Walt Disney Co. The deal will including a complete rebranding of the 56,000-seat multi-sport venue, which serves as headquarters of the Australian Football League, and host to soccer, rugby and cricket. 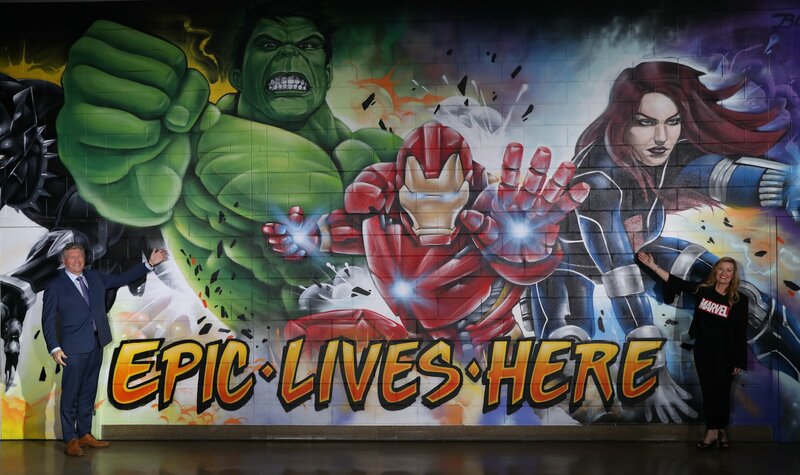 A roughly 540-square-foot Marvel retail store also will be installed on site, along with other “activations” intended to bring the company’s iconic characters to life. Before it became Etihad Stadium in 2009, when the United Arab Emirates airline purchased the naming rights, the 18-year-old Docklands Stadium was known as the Telstra Dome and Colonial Stadium. The post Australian Sports Venue Renamed Marvel Stadium in Deal With Disney appeared first on CBR. Rascal Does Not Dream of a Dreaming Girl Movie Releases Trailer Starring Makinohara Shouko! Three visuals have also been unveiled.